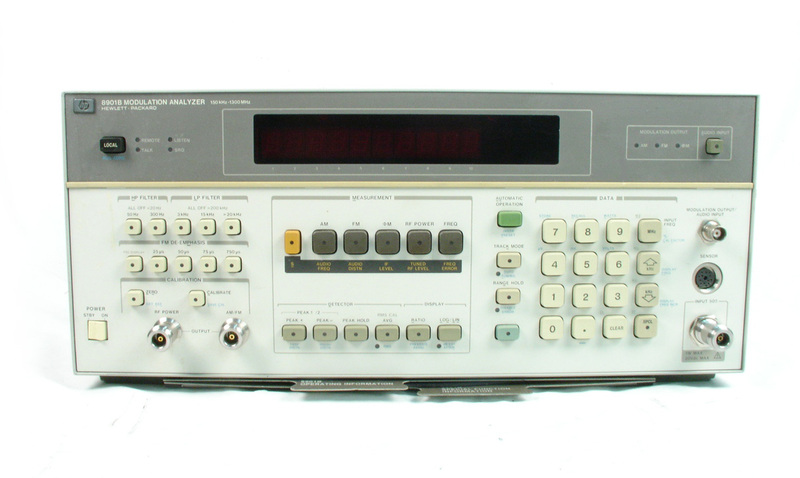 Agilent HP 8901A 150 kHz - 1300 MHz Modulation Analyzer with options 02 & 010. 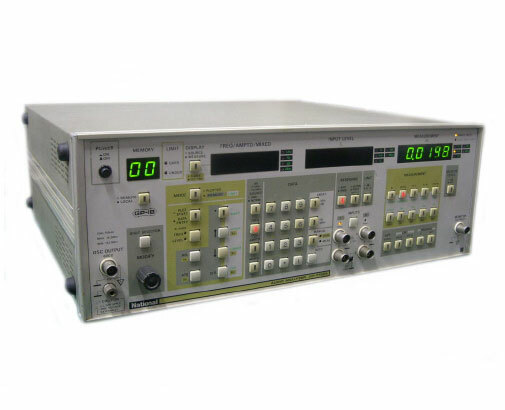 Agilent HP 8903B 20 KHz audio analyzer with Opt 001 - Rear Inputs. 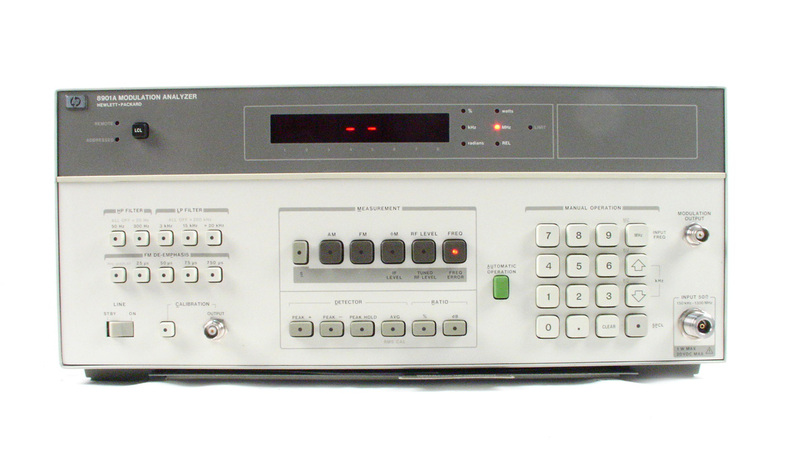 Panasonic VP7722A Audio Analyzer. 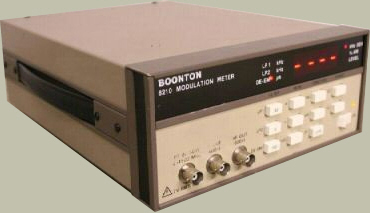 10 hz to 110 kHz. 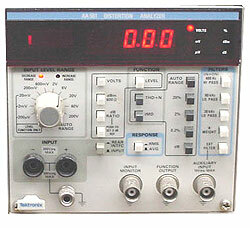 Panasonic VP7723A - 5 hz to 110 kHz Audio Analyzer. 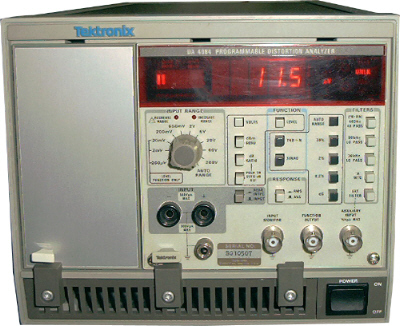 Tektronix AA5001 programmable modular distortion analyzer. 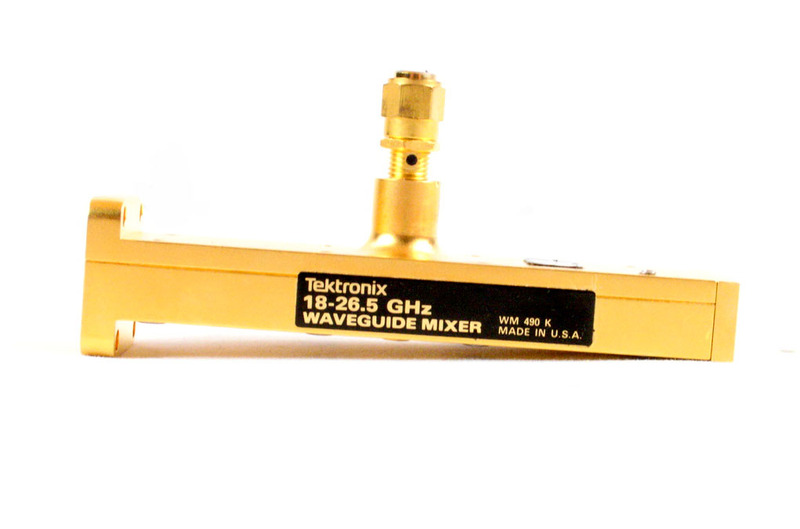 10 Hz to 100 kHz. Mainframe sold separately. 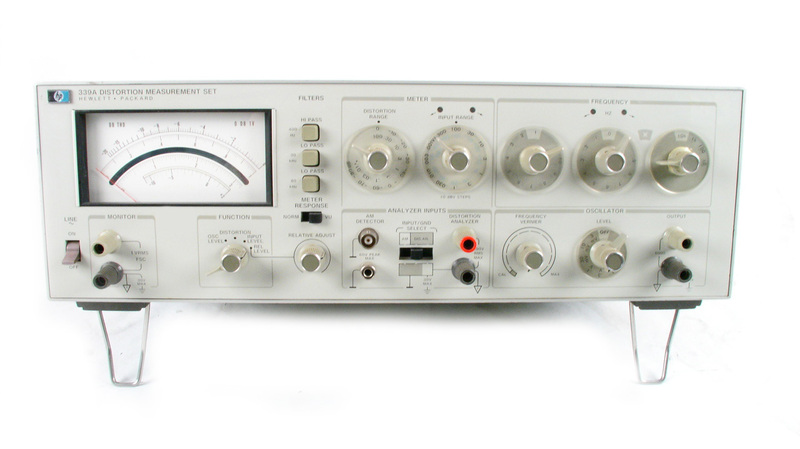 Tektronix AA501 modular distortion analyzer. 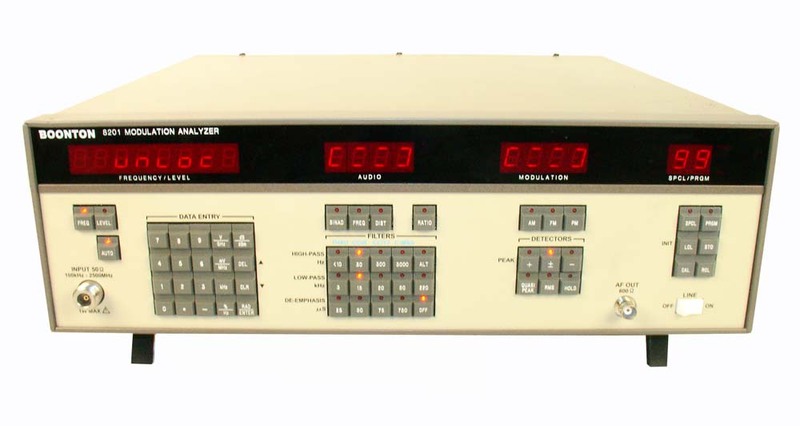 Mainframe sold separately. 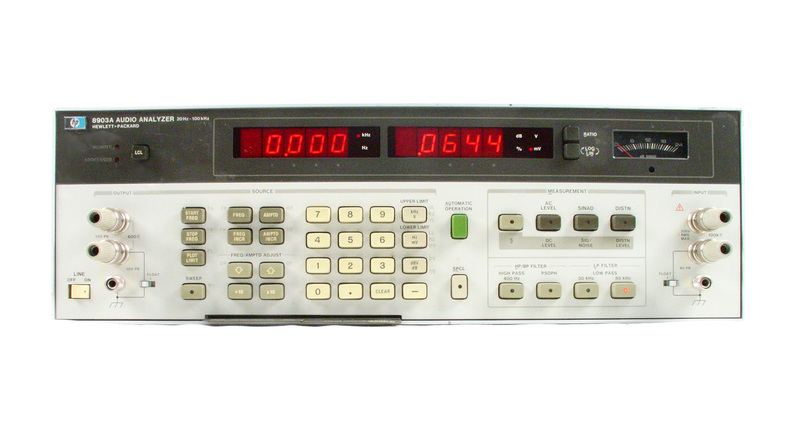 Tektronix DA4084 Programmable distortion analyzer. 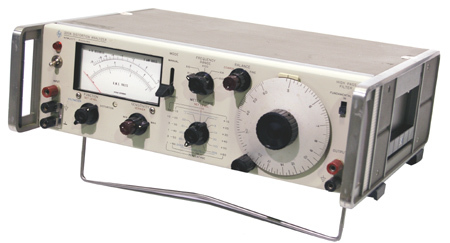 Similar to AA5001. 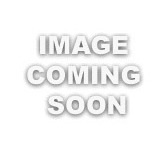 Includes powerframe.